Tecno L9 Plus, the first Tecno flagship android phone in 2017 has been launched into the Nigeria mobile market powered with latest features. L9 Plus is a successor of the Tecno L8 Plus released last year and features a 6.0-inch IPS display. Building on the success of the Tecno L series, L9 Plus can last up to 72 hours on a single charge. Tecno mobile understands the need for a large battery in this age of power-hungry apps and built L9 Plus with an impressive battery capacity of 5000mAh. Like always, Tecno took a step ahead of its rival bump up Tecno L9 Plus specifications to include a 6.0-inch display running on Nougat, 2GB RAM, 16GB internal storage, 5000mAh battery and Android 7.0 operating system. 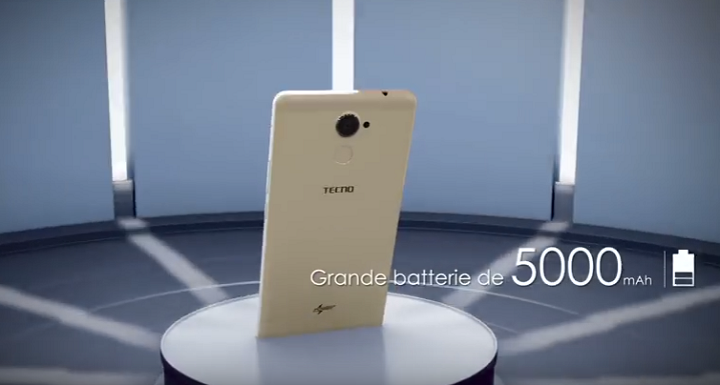 The robust battery device comes packaged with an OTG cable meant to enable connection that will make the TECNO L9 Plus charge another phone. With a fast charge feature where a 5 minutes charge on the device provides enough battery juice to take 1,000 pictures, you won’t need to worry about running out of battery to stay connected. Product History: Tecno introduced the “L series” devices to cater for those that care a lot about battery life. Each device in this series is known for its long-lasting battery; usually above 24hours. Price Rating: HIGH —– This phone is, no doubt, is high on the totem pole and has everything you can ask for. Tecno L9 Plus sports a 6.0-inch IPS display with 720 x 1280 pixels resolution. It features a full metal body and sports a 13 megapixels camera and a fingerprint sensor are located on the back. Despite the heavy battery, the L9 plus has a body dimension 7.99mm making it one of the slimmest phones with such (5000mAh) battery. If you’re someone who loves mobile games, the L9 Plus would interest you because it has a big 6.0-inch screen, which is bigger than that of last year’s Tecno L8. In terms of aesthetics, the L9 plus has a full metallic body with a non-removable battery. For brilliant selfies, the Tecno L9 Plus has a 5 megapixels front camera with a LED flash. Tecno L9 Plus is loaded with Android 7.0 (Nougat) with a 1.3GHz quad-core processor and 3GB of RAM. This is a huge plus knowing how hard it is to find Android 7.0 phones in Nigeria without breaking the bank. Unfortunately, the L9 plus does not support 4G LTE Network. It has 16GB of built-in storage with support for up to 128GB microSD memory card. Tecno L9 Plus is loaded with a 5000 mAh battery, which according to Tecno can supply up to 72 hours of use once fully charged. Tecno L9 Plus does not support 4G LTE. Tecno L9 Plus is available in Nigeria. You can buy the Android phone at leading online stores in the country. Tecno L9 Plus price in Nigeria ranges from 65,000 Naira to 70,000 Naira. The Tecno L9 Plus Price in Kenya expected to start at around 15,999 KSh. 3GB ram. LOOOL. I need this phone. That’s a lot of battery power mehn! Should this be categorized as mid-range or premium? I will sir. Was out of town for a long while but I’m fully back now.